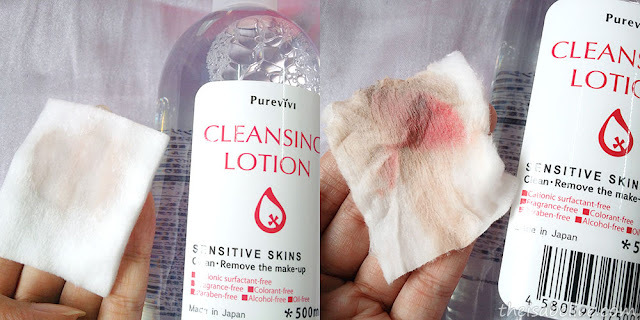 The Purevivi Cleansing Lotion had a lot of positive reviews so I did not hesitate to give it a try even though I still have other makeup removers to finish.. oops =x It comes in this huge bottle and you can clearly see the liquid inside. It's as clear as water! It is suitable for sensitive skin and does not contain cationic surfactant, fragrance, colorant, paraben, alcohol or oil. 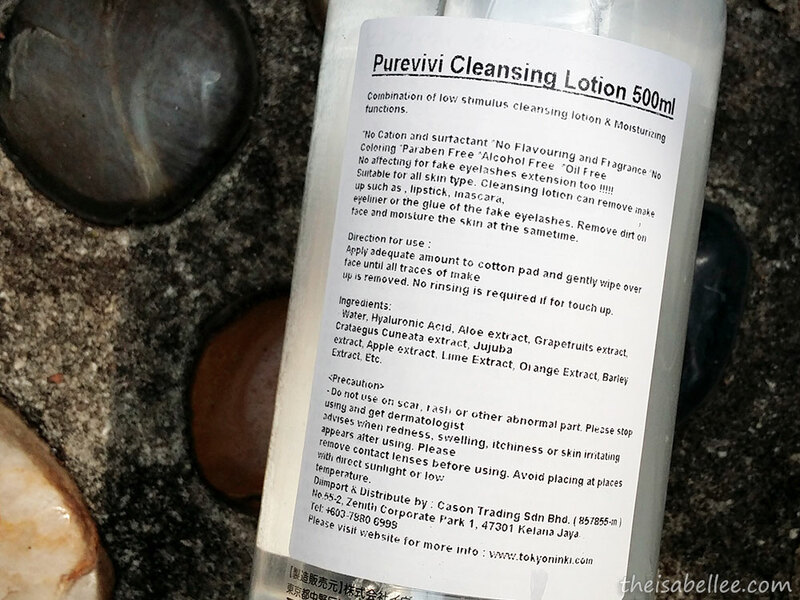 It claims to cleanse and moisturize at the same time. Well, it feels extremely comfortable and does not leave any sticky/oily residue. My skin never feels dry nor tight after using it. This 500ml bottle is almost as big as my face! =O Well worth the price paid. It retails for less than RM 50. 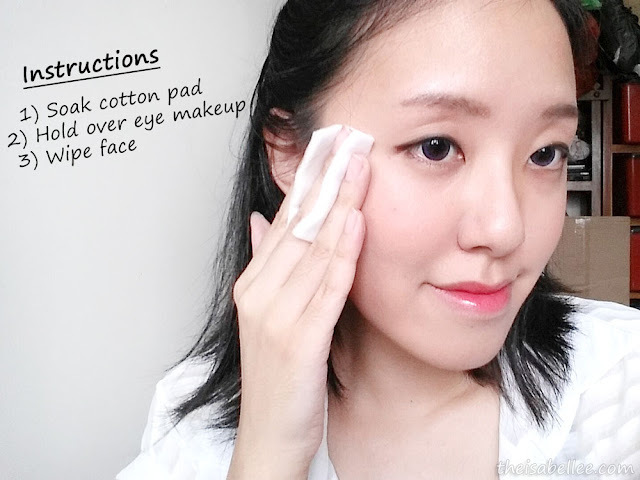 For eye makeup, hold your cotton pad on your eye for about 20 seconds then slowly pat the makeup off. 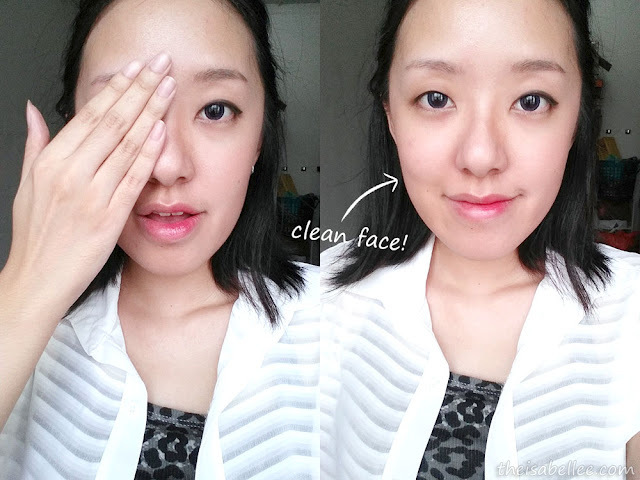 You can either use the other side or a new cotton pad for the rest of your face. And this will be my last post from HiShop because they have officially closed down =( You can still get the product from Tokyoninki though. I highly recommend you to try this out if you're looking for a budget all-purpose makeup remover. Hishop has officially closed down?? Omg when? Haha there goes my credit points. Lol btw is this good for waterproof makeup too? It's too watery to be used without a cotton pad. I know what you mean though.. Only milks and oil can be used without cotton pad but I still have not found a really good milk while I only use oil for heavier makeup. wow, 1 cotton pad and can wipe alot already! 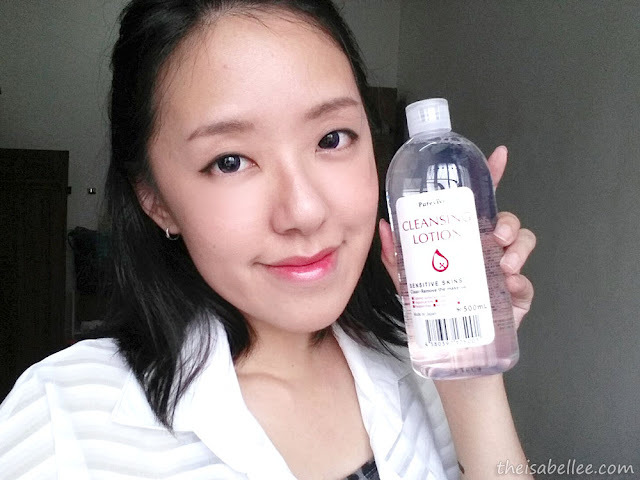 The effect of removing make up was strong and price with that big bottle it was totally worth to buy it. Looks good to me! The bottle is really big too. i wonder how long it would last you. how long do you think it would last? isit just water or thick liquid type of lotion? I went to Sasa and seek for it. But always sold out. So, I ended up buying other brand. Hope I can find it when I finish the current one. Does it oily to you? 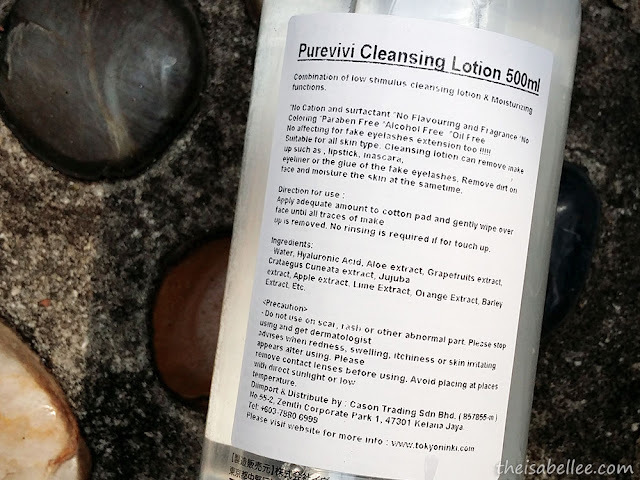 As most of the Cleansing lotion oily to me. Not oily at all! It feels like water. Are you thinking of the thick gel kind?